The goodbye present for my son's teacher is not just finished, only just blogged. It was a close call, though, I started on Wednesday evening, with the last school day being Friday. 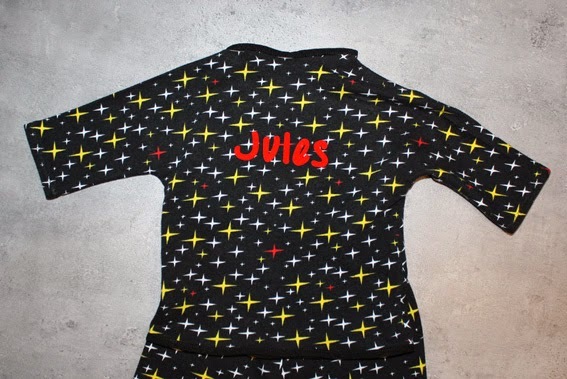 I had promised for quite a while to make some new clothes for Jules, so it was about time! 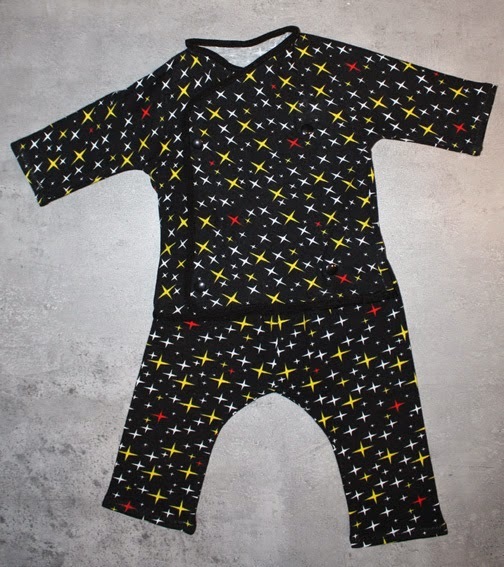 I already knew I suffer from postponing behavior… From a little piece of fabric, I mad a super-simple pajama for Jules. It was finished in 90 minutes! It was pimped with his name, and good to go! Thanks, teacher!